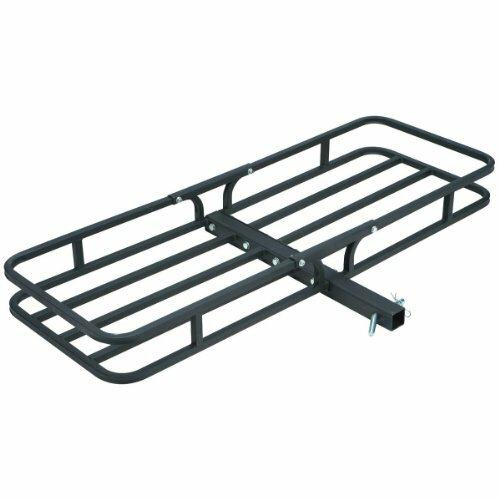 The HitchMate Cargo Load steel cargo carrier offers added storage for extra luggage, coolers, equipment, and camping gear to help keep your vehicle free from clutter. The Cargo Load platform measures 52 inch x 18 inch x 4 inch and fits standard 2 inch receiver hitches (class III or IV). The powder coat finish prevents rust and corrosion insuring a long product life. The all steel heavy duty construction has a weight capacity of 500 pounds.